We are so pleased and excited to have Petite Couture as one of our preferred partners. I love everything about this store, from the lovely ladies who run it to the adorable and unique items they stock. Just walking in the door is a visual feast. Nestled in a funky little precinct in Glyde Street, Petite Couture is the brainchild of Paula and Anna, who began their business venture with 2 years of careful planning and inspiring discussions. Both devoured magazines and websites for products they liked, and traveled extensively seeking cool products and ideas, before putting in three solid months to transform the space into a concept boutique that is a joy to enter, complete with top of the range products, beautiful gift wrapping, an uplifting atmostphere and customer service second to none. It’s a winning combination, as good service will always be, and is one that that has paid off for the girls, with Petite Couture firmly established and business booming. Petite Couture stocks clothing from Purebaby, Eeni Meeni Miini Moh, Tutu Du Monde, Mischka Aoki, Stella Cove, Coco & Ginger, Alex & Charli, Peggy, 3 Pommes and Harmony & Lawson and they have Sudo, Pinch & Spoon, Kenzo and Catimini new to the store for Spring Summer 2012. 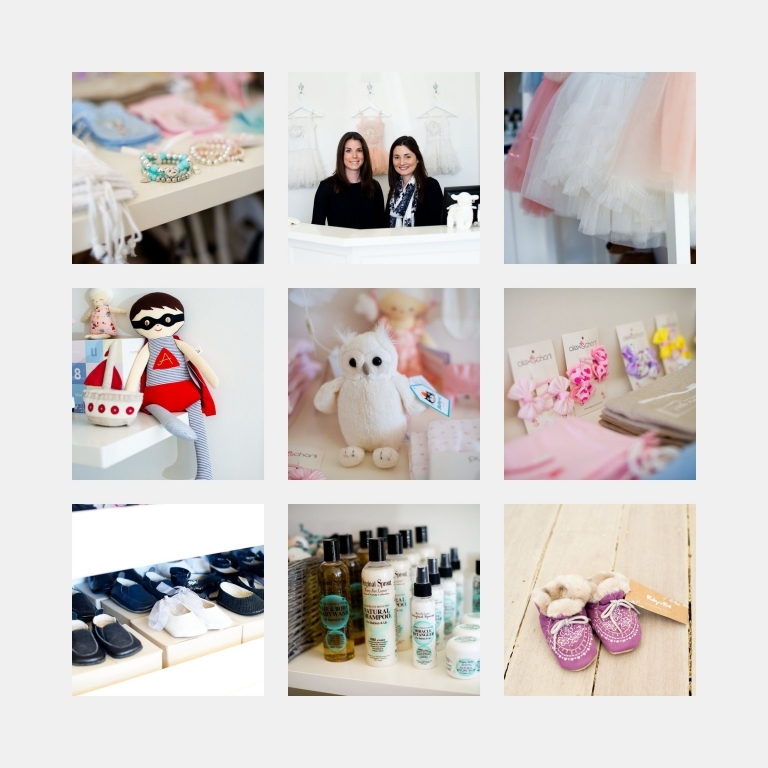 They also stock accessories and soft toys from Petite Papinelle, Jellycat, Nana Huchy, Alimrose and the Danish brand Maileg rabbits and mice coming in soon. To top it off is gorgeous Mini Angi Mac Jewellery and organic hair care products from Original Sprout. You can find them at 8 Glyde Street Mosman Park or call them on (08) 9385 0917. Don’t forget to go and ‘like’ their facebook page. All Be Photography friends and fans can enjoy a generous 15% discount on all products in store!